Describes the steps to display numbers with decimals in UDF layouts. 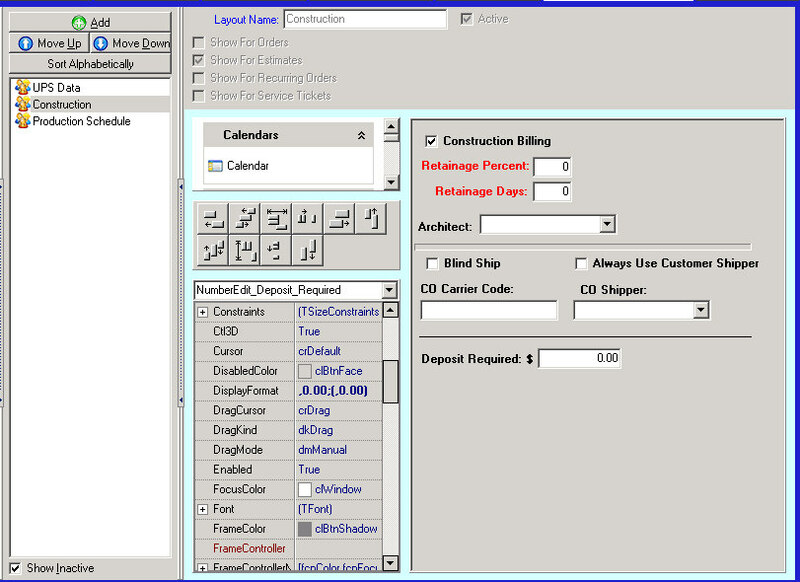 Users may createsystem_setup_ch_10-user-defined_field_options_setup for display or Data Entry uses in much the same way you lay out Pricing Forms. However, if you have number fields with decimals such as dollars and cents values, just as with Pricing Forms, you need to change the Default Properties. The steps to do this are different from the pricing form and this page explains how to do it. Not aware of any adverse effects but doing the wrong things with the system_setup_ch_10-user-defined_field_options_setup might cause unwanted results in your displays. Be careful you don't change other Object Properties than the ones mentioned below if you are not sure what the results will be. Click on Setup and then User Defined Field Setup. Your page will then be displaying a column on the left with 2 categories, one for UDF's themselves and at the bottom, a category for UDF Templates. Click on the Template where you want to have decimals displayed. This action will bring up the intended Layout Template and you then enter Edit mode. In the attached Screen Shot you will see that we have selected a Layout called Construction (Named in the Layout Name box at the top of the screen). Next you will see that the UDF with the label “Deposit Required” is selected. (Number_Edit_Deposit_Required). To the left of the UDF is a screen showing the Object Properties, somewhat similar to the Pricing Form but quite different in the details. Put a , (comma) in the string if you want commas displayed in the number. Put a 0 (zero) in the string to represent a digit that should always be displayed. Put a - (negative sign) in the string to print the sign of the number (positive or negative). Other charcters are copied directly. Next, you need to Set the Property “IntegersOnly” to False. It is found farther down in the Properties list (not shown in the Screen Shot). If IntegersOnly is True, then only whole numbers will be displayed which will defeat what you want to achieve. Click Save and your number will now be displayed with decimals.